Turkish Ambassador to Benin Turgut Kural died of a heart attack Tuesday night, Foreign Minister Mevlüt Çavuşoğlu announced Wednesday. "Our sorrow is great," Çavuşoğlu said on Twitter, extending condolences to the ambassador's family. Kural had served as the Turkish Ambassador in Cotonou, Benin since 2014. 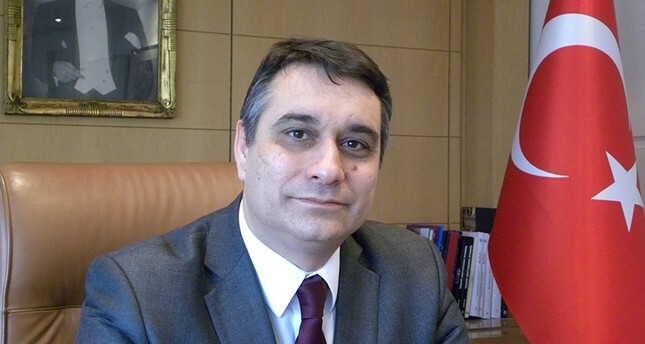 The son of late Ambassador Şerif Adnan Kural, who also died of a heart attack in 1972 while serving as the ambassador to Moscow, Turgut Kural was born in Rome in 1966. A husband and father of two children, 51-year-old Kural had served in the Ministry of Foreign Affairs since 1991, after graduating from Ankara University's Department of International Relations. He began his international career as third secretary in Turkey's Baghdad and Amman embassies, and vice consul at the Consulate General of Hong Kong. He went on to serve as second and first secretary in the Brussels embassy, consul general in the Mostar consulate and undersecretary of the embassy in Paris.